From ice boats to racing multihulls, wind turbine blades, and a thousand other projects — ours and customers — working with epoxies and our customers since 1969 has been interesting. The decades of experience in the shops, labs and libraries have given us a pretty good feeling for epoxy technology. We know its strengths and weaknesses, and most importantly we understand and appreciate its versatility. In addition to our own projects, we have shared many of your efforts in Epoxyworks. Your projects have been a showcase for epoxy’s versatility — Frank Lloyd Wright’s Wingspread restoration, wood/epoxy cars, luge sleds, the 65-meter Jubilee Sailing Trust ship, a 200-year old figurehead, whalebone arches in the Falkland Islands, a record setting Transpac racer, a gunkhole garvey. There has been a great variety in the projects, but for us the real vitality has been in you the customer. You are perpetually trying new things, building new projects, and solving new problems. Long ago we realized that we have a shared responsibility with our customers. You take our product and add value in its application to your project. You are seeking predicable solutions, but the powerful versatility of epoxy implies variability. You can do so much with epoxy that the variables of application conditions, materials and service requirements provide a dizzying array of choices and outcomes. Some customers feel overwhelmed by the variables; some, quite comfortable with the basics of the technology, play the variables to their advantage. To help bring predictability out of this inherent variability, we test. As our company evolved we found ourselves drawn ever more closely to testing. We started early with soak tanks and a mechanical test machine made out of a hydraulic bearing press. We had a lot of questions about epoxy and the answers were not easy to find. As we became more involved in the wind energy industry our sophistication grew as well as our investment in testing facilities and equipment. We broadly adopted testing as a way of life. When we don’t know something, we research and test our way to a better understanding. Our technical staff participates in a broad range of testing programs and production projects — occasional glamorous high-end composite research projects, and the daily more mundane adhesion, coating and materials testing. 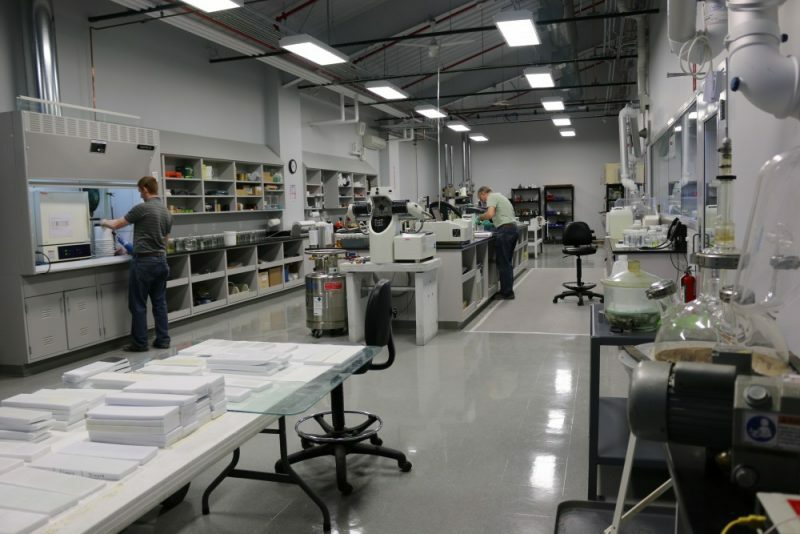 We know that R&D testing is just plain hard work and we are committed to it. Over the years, some of our testing has advanced broad areas of interest; other tests have been focused on very specific customer questions. A sample of projects includes short block shear tests on various adhesives, bolt pull-out on aluminum sail headboards, peel strength of fiberglass sheathing on a large wood/epoxy vessel, adhesion to teak and teak substitutes, carbon-foam catamaran panel and hemp-balsa panel testing. The list goes on. A year of testing represents hundreds of samples made and destroyed. In all cases, we take this testing seriously and we are in it for the long term. We believe it is irresponsible to think otherwise. We continue to reinvest in facilities and people to make us more responsive to customers’ questions and concerns. We try to bring the broad issues to print, continuously updating our manuals as research reveals the strengths, weaknesses and changes in epoxy technology. The upshot of our continuing interest in testing and research has been an increased appreciation for the nuance of each project. Every customer wants a successful solution. Often there are several ways to approach a problem, and several solutions. On the phone or in the lab, we try to work through the solutions with our customer in a way that makes us all smarter. As we engage in continuing research, we add to the basic versatility and predictability of epoxy technology. If you have a question large or small, we encourage you to contact us. This process has been going strong for thirty years and we believe it is a good model for the decades ahead. This entry was posted in Materials Testing and tagged 13, Epoxyworks #13, Rob Monroe, Spring 1999 on August 27, 2014 by ewadmin.